The countdown to the 2016 World Cup of Hockey has begun, which means answers to questions pertaining to coaches, rosters and depth charts for the eight participating teams will slowly start coming into focus. The tournament is scheduled to begin Sept. 17 and end as late as Oct. 1. All games will be played at Air Canada Centre in Toronto. Canada, the United States, Russia, the Czech Republic, Sweden and Finland are the six countries that will be represented. The field is rounded out by Team North America, an all-star team of players from Canada and the United States who are 23 years old or younger, and Team Europe, an all-star team featuring the top players from European countries that are not competing in the tournament, such as Switzerland, Slovakia, Slovenia, Norway, Austria, Latvia and Denmark. Each roster will consist of 23 players, including three goalies. Most nations, as well as the two all-star teams, have management staffs in place for the World Cup; some have already named coaches. Sixteen players have to be named to the rosters by March 1, 2016. The balance of each roster has to be submitted by June 1. There still is so much to watch and determine, so many questions to ask, ponder and eventually answer. Will Mike Babcock be Team Canada's coach? 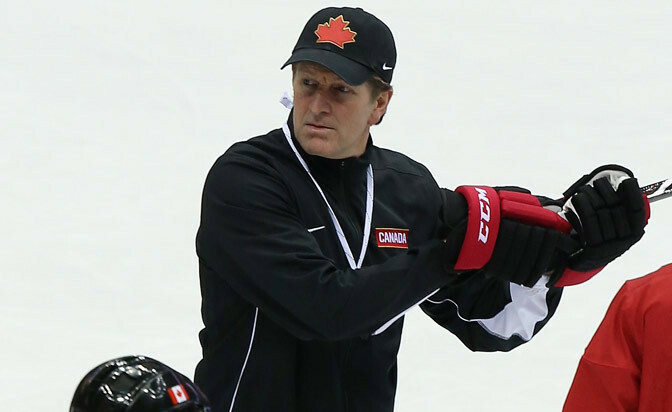 Babcock coached Canada to Olympic gold in Vancouver in 2010 and in Sochi in 2014. He remains one of the best, most popular and recognizable coaches in the NHL. His fame actually has increased since winning in Sochi because now he's coaching the Toronto Maple Leafs. It's also hard to find anyone who enjoys representing Canada on the international stage more than Babcock, who has professed a great deal of fondness for his Olympic experiences, particularly his interactions away from the rink with Canadian athletes from other sports. This tournament won't afford Babcock a similar experience because it's strictly a hockey event, so this might be an opportunity for Hockey Canada to give someone else a chance to lead the national team in a best-on-best tournament in the way that Steve Yzerman, the general manager for Canada's past two entries into the Olympics, has given way to Doug Armstrong as World Cup GM. Todd McLellan of the Edmonton Oilers coached Canada to the gold medal at the 2015 IIHF World Championship. It might have been his audition for the World Cup. Joel Quenneville has won the Stanley Cup three times as coach of the Chicago Blackhawks but has never gotten the chance to coach Canada on the national-team level. He deserves that chance if he wants it. Lindy Ruff (Dallas Stars) and Ken Hitchcock (St. Louis Blues) were on Babcock's staff in Vancouver and Sochi, and Claude Julien of the Boston Bruins was an assistant in Sochi. Bob Hartley of the Calgary Flames has re-established himself as one of the top coaches in the NHL. He won the Jack Adams Award last season. And although they rarely get mentioned when it comes to Hockey Canada, Alain Vigneault (New York Rangers) and Barry Trotz (Washington Capitals) have done nothing but win for the majority of their career in the NHL. Who will coach Team North America? Jon Cooper of the Tampa Bay Lightning looks like the perfect coach for the job for many reasons. Cooper is a Canadian who has worked with USA Hockey at various events, so he has each side of this team covered. He has made a career out of getting the best out of young players, most recently Tyler Johnson, Ondrej Palat and Nikita Kucherov with the Lightning. His best work, in fact, has come with young players at every level, from high school on up. He relates well to young players and should command their respect because of the success he's had in the NHL. Other candidates for the job could be Patrick Roy (Colorado Avalanche), Dave Hakstol (Philadelphia Flyers), John Hynes (New Jersey Devils) and Hartley. Roy has a history of working well with young players in junior and in the NHL, and one of the top players on the team should be Avalanche forward Nathan MacKinnon. Hakstol's background to this point strictly has been with college-aged players, so he knows how to relate well to them. Hynes has been one of the top development coaches in the sport of late, most recently in the American Hockey League. Hartley has proven in his rebirth to be a softer, gentler NHL coach that young players can relate well to; Flames forwards Johnny Gaudreau and Sean Monahan are perfect examples and could be part of Team North America. Who will wear the 'C' for Team Europe? 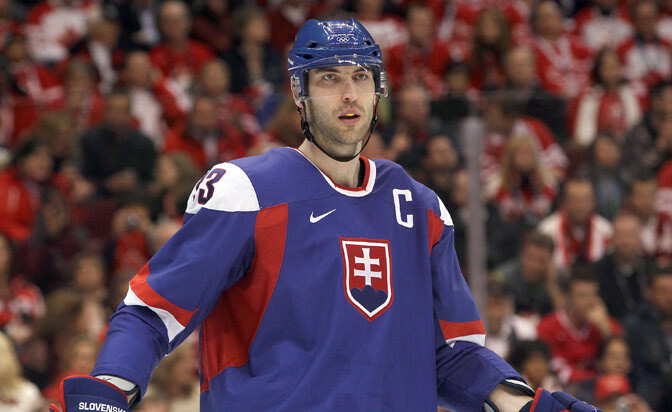 The top three candidates should be Los Angeles Kings center Anze Kopitar (Slovenia), Blackhawks right wing Marian Hossa (Slovakia), and Bruins defenseman Zdeno Chara (Slovakia), the only player eligible for this team who currently is captain of his NHL team. This is going to be an interesting decision because the captain, and his alternates, will have to do some heavy lifting to help the coaching staff get everyone on the same page quickly. This is a team that will be comprised of many players who come from different hockey backgrounds and are used to competing against one another in international tournaments. They will not be playing for their country, and that's usually what drives players in tournaments such as this one. But a win in Toronto means their country, be it Slovenia, Slovakia, Switzerland, Denmark, Germany, Norway, Belarus or Austria, will get to share in the celebration. So the pressure to win will come from many countries, not one, only adding to the intrigue of the selection of the captain and how he leads. Is Jonathan Quick still the No. 1 goalie for Team USA? So much, obviously, depends on how this season goes for Quick and the Kings, but at this point he can't be considered the unquestioned pick to be the No. 1 goalie for the World Cup as he was going into the 2014 Sochi Olympics. The time might be right for Devils goalie Cory Schneider, who had a better season than Quick in 2014-15 based on workload and save percentage. Schneider faced 96 more shots while playing 260 fewer minutes than Quick. He finished with a .925 save percentage; Quick had a .918 save percentage. The Lightning's Ben Bishop also deserves consideration and will be followed closely by Team USA general manager Dean Lombardi and his staff this season because he's another candidate to be the No. 1 goalie. Will Jaromir Jagr play for Team Czech Republic? Jagr will be 44 years old when the tournament starts. He has repeatedly said he wants to play until he's 50, whether it's in the NHL or in the Czech Republic. There's no reason to doubt the validity of Jagr's desire to play until he's 50. He keeps himself in impeccable shape and plays a game that can last because he doesn't rely on speed, or skating in general, to be effective. So, yes, expect to see Jagr in Toronto for the World Cup provided he wants to be there; he said after the 2015 World Championship that he was retiring from international competition. More than anyone probably, Jagr would look at the World Cup as the best possible training camp he could get before the start of the 2016-17 NHL season. Jagr has played in 20 international tournaments for Czechoslovakia/Czech Republic, appearing in 111 games with the national team. Will Auston Matthews make Team North America? Matthews is the consensus top prospect for the 2016 NHL Draft. The 18-year-old center, a native of Scottsdale, Ariz., soon will begin his professional career playing for the ZSC Lions in National League A, the top professional league in Switzerland. ZSC is coached by Marc Crawford, a former NHL coach. Matthews is considered a can't-miss prospect and this season's version of Connor McDavid or Jack Eichel. His problem in making Team North America could be the potential depth at center available, including McDavid, Eichel, Ryan Nugent-Hopkins of the Edmonton Oilers, Monahan, Mark Scheifele of the Winnipeg Jets and the Philadelphia Flyers' Sean Couturier. It might be hard for the management group picking Team North America to select someone with no NHL experience over someone who has played in the League, even if it's as small of a sample size as one season, which would be the case with McDavid and Eichel. Will Kontinental Hockey League players participate in the World Cup? Yes, according to NHL Deputy Commissioner Bill Daly, which is good news for Team Russia fans who might have been concerned that the KHL regular season would impact the eligibility for players such as Ilya Kovalchuk and Alexander Radulov. The KHL season in Russia starts in late August, meaning by the time the World Cup begins it will be roughly three weeks old already. But the expectation is that one or more KHL players will represent Russia in the World Cup. The bigger question is how many. Nine players from the KHL, including Kovalchuk and Radulov, represented Russia in Sochi. Similarly, Russia had nine KHL players on its Olympic team in Vancouver in 2010. Russia didn't make it past the quarterfinals in either tournament, and there is a valid argument to be made that it was because the chemistry was lacking between the NHL and KHL players.